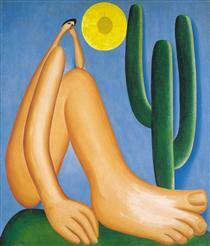 Tarsila do Amaral, also known simply as Tarsila, is considered to be one of the leading Latin American modernist artists, described as "the Brazilian painter who best achieved Brazilian aspirations for nationalistic expression in a modern style." She was a member of the Grupo dos Cinco (Group of Five), which included Anita Malfatti, Menotti Del Picchia, Mário de Andrade, and Oswald de Andrade. 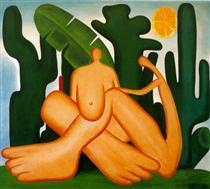 Tarsila was born in the city of Capivari, part of the interior of São Paulo, Brazil, to a wealthy family who were coffee growers and landowners. Her family's position provided her a life of privilege. Although women of privilege were not expected to seek higher education, her parents supported her educational and artistic pursuits. During her teens, Tarsila and her family traveled to Barcelona, where she attended school and first exhibited her interest in art by copying images seen in the school's collections. 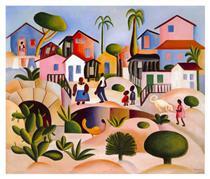 Beginning in 1916, Tarsila studied sculpture, drawing and painting. The Brazilian art world was conservative, and travels to Europe provided students with a broader education in the areas of art, culture, and society. 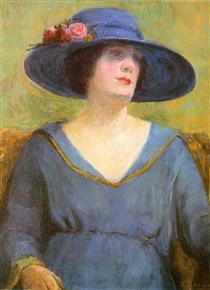 At this time, her influences and art remained conservative. 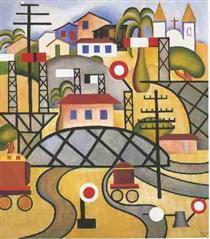 Returning to São Paulo in 1922, Tarsila was exposed many things after meeting Anita Malfatti, Oswald de Andrade, Mário de Andrade, and Menotti Del Picchia. Prior to her arrival in São Paulo from Europe, the group had organized the Semana de Arte Moderna ("Week of Modern Art") during the week of February 11–18, 1922. The event was pivotal in the development of modernism in Brazil. The participants were interested in changing the conservative artistic establishment in Brazil by encouraging a distinctive mode of modern art. Tarsila was asked to join the movement and together they became the Grupo dos Cinco, which sought to promote Brazilian culture, the use of styles that were not specifically European, and the inclusion of things that were indigenous to Brazil. 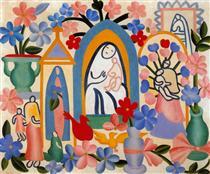 During a brief return to Paris in 1923, Tarsila was exposed to Cubism, Futurism, and Expressionism while studying with André Lhote, Fernand Léger, and Albert Gleizes. European artists in general had developed a great interest in African and primitive cultures for inspiration. 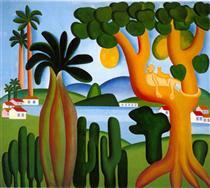 This led Tarsila to utilize her own country's indigenous forms while incorporating the modern styles she had studied. 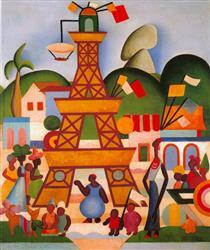 While in Paris at this time, she painted one of her most famous works, A Negra (1923). 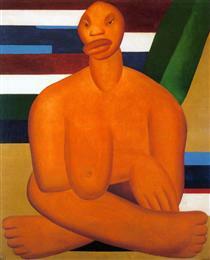 The principal subject matter of the painting is a large negroid female figure with a single prominent breast. 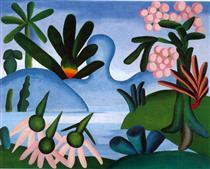 Tarsila stylized the figure and flattened the space, filling in the background with geometric forms. 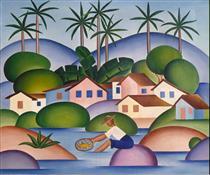 Upon returning to Brazil at the end of 1923, Tarsila and Oswald de Andrade then traveled throughout Brazil to explore the variety of indigenous culture, and to find inspiration for their nationalistic art. 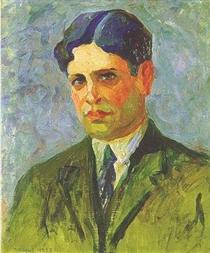 She also illustrated the poetry that Andrade wrote during their travels, including his pivotal book of poems entitled Pau Brasil, published in 1924. In the manifesto of the same name, Andrade emphasized that Brazilian culture was a product of importing European culture and called artists to create works that were uniquely Brazilian in order to "export" Brazilian culture, much like the wood of the Brazil tree had become an important export to the rest of the world. 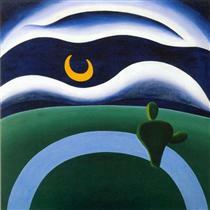 In addition, he challenged artists to use a modernist approach in their art. 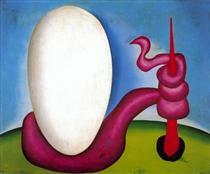 Later on, she incorporated Surrealist influences and, sometimes, social themes. 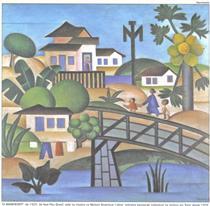 Tarsila do Amaral, (Portuguese pronunciation: [taɾ.ˈsi.la du ˈa.ma.ɾaw] September 1, 1886 – January 17, 1973), known simply as Tarsila, is considered one of the leading Latin American modernist artists, described as "the Brazilian painter who best achieved Brazilian aspirations for nationalistic expression in a modern style." She was a member of the "Grupo dos Cinco" (Group of Five), which was a group of five Brazilian artists who are considered the biggest influence in the modern art movement in Brazil. The other members of the "Grupo dos Cinco" are Anita Malfatti, Menotti Del Picchia, Mário de Andrade, and Oswald de Andrade. Tarsila was also instrumental in the formation of the Antropofagia Movement (1928-1929); she was in fact the one who inspired Oswald de Andrade's famous "Cannibal Manifesto". 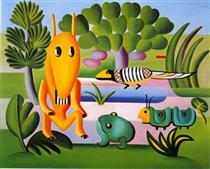 Tarsila do Amaral rata was born in Capivari, a small town in the countryside of the state of São Paulo. She was born to a wealthy family of farmers and landowners who grew coffee. At that time in Brazil, women were not encouraged to seek higher education, especially if they came from affluent families. 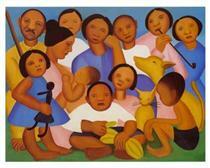 Despite coming from a well-to-do family, Tarsila had her family's support in obtaining higher education. As a teenager, Tarsila and her parents traveled to Spain, where Tarsila caught people's eyes by drawing and painting copies of the artwork she saw at her school's archives. 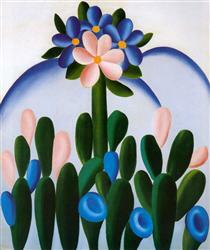 Beginning in 1916, Tarsila studied painting in São Paulo. Later she studied drawing and painting with the academic painter Pedro Alexandrino. These were all respected but conservative teachers. Because Brazil lacked a public art museum or significant commercial gallery until after World War II, the Brazilian art world was aesthetically conservative and exposure to international trends was limited. Tarsila studied in Paris from 1920 through June of 1922 at the Académie Julian with Emile Renard. 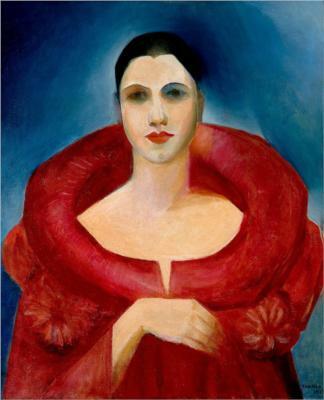 Returning to São Paulo in 1922, Tarsila was exposed to many things after meeting Anita Malfatti, Oswald de Andrade, Mário de Andrade, and Menotti Del Picchia. Prior to her arrival in São Paulo from Europe, the group had organized the Semana de Arte Moderna ("Week of Modern Art") during the week of February 11–18, 1922. 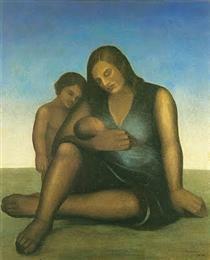 The event was pivotal in the development of modernism in Brazil. The participants were interested in changing the conservative artistic establishment in Brazil by encouraging a distinctive mode of modern art. Tarsila was asked to join the movement and together they became the Grupo dos Cinco, which sought to promote Brazilian culture, the use of styles that were not specifically European, and the inclusion of things that were indigenous to Brazil.